Blackberry made a comeback in the smartphone industry a few years back with the launch of its Android-powered smartphones. As part of its comeback, Blackberry announced the flagship smartphone of 2017 named as the Blackberry KEYone. The Blackberry KEYone was launched as one of the very first Android devices with a Qwerty keyboard fixed to the device same as the Blackberry devices of the past. In terms of specifications, the Blackberry KEYone has a 4.5-inch screen which has a resolution of 1080 x 1620 pixels. The Blackberry KEYone is powered by Qualcomm Snapdragon 625 chipset and the device comes has 4GB of RAM and 64GB of internal storage. The Blackberry KEYone has a single camera on the back which is a 12MP shooter whereas the front camera of the device is an 8MP one capable of taking selfies and front-facing videos. The Blackberry KEYone has a 3505 mAh non-removable battery and is powered by Android 7.1.1 Nougat. Blackberry announced the latest Android-powered smartphone from the company which was named as the Blackberry KEYone. The announcement of Blackberry KEYone was made by the company early last year. Now, we have known that there is a large number of smartphone launches happening every month and the smartphone manufacturers have to add some personal touch to their device to make it unique from the rest. 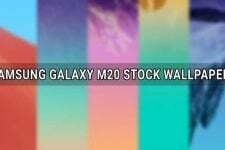 For this, OEMs ship their smartphones with stock wallpapers which are exclusively found on that particular device only. Thus, same is the case with Blackberry also as the company has bundled some stock wallpapers with its latest smartphone, the Blackberry KEYone. 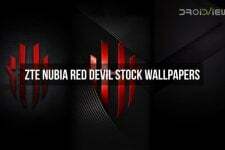 There are 17 wallpapers bundled in total on the latest flagship smartphone by the company itself. Also, all of these wallpapers are available in Full HD and Quad HD quality with a resolution of 1080 x 1620 pixels and 2428 x 2208 pixels. 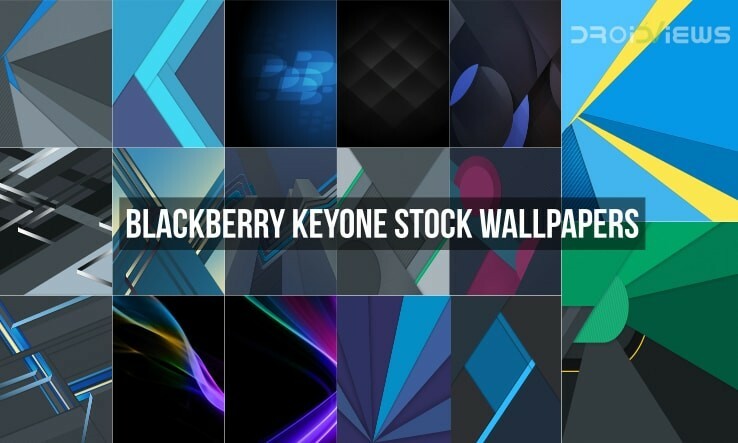 In order to download these wallpapers from the Blackberry KEYone to your device, you will have to download the zip file which has been linked to the Download Links section below. These zip file has been bundled by us and it contains all the wallpapers, untouched and in original quality. Once you have downloaded the zip file, you just need to unzip the zipped folder and the wallpapers will be available on your device.